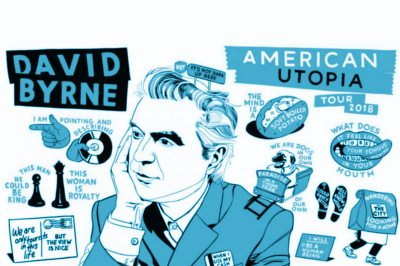 David Byrne is extending his American Utopia tour and is coming to Glasgow SSE Hydro on Monday 22 October 2018. The ex Talking Heads member has carved out some incredible solo albums, with American Utopia his latest receiving much praise. He’s concocted an impressive live show, his most extravagnat production since the legendary Talking Heads ‘Stop Making Sense‘ show. The singer is promising some old tracks amongst the set list, as well as plenty of tracks from solo output. Tickets for David Byrne go on general sale from Monday 18 June 2018, with Presale going out Wednesday 13 June check with the links here for more information and to get yours.